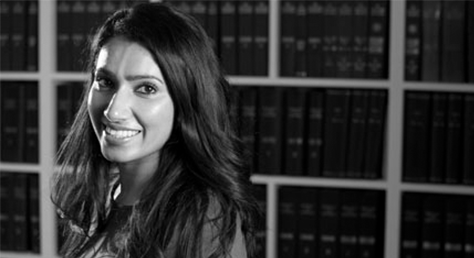 Juanita Kareer, family solicitor, considers this case which concerned an application by a mother for permission to appeal findings of fact made during the course of private law Children Act proceedings. Both parties were originally from Pakistan. The Father had moved to the UK and become a British national before the parties married in 2001. The Mother joined the Father in the UK on a spousal visa in 2002 and was granted indefinite leave to remain in the UK in 2003. There are four children of the marriage aged between 10 and 16. Between May 2012 and February 2016, the parties lived in Pakistan where they separated and reconciled a number of times. When the parties separated, the children usually lived with the Father or their paternal family whilst the Mother spent time in a refuge. In February 2016, the Father returned to the UK with the children, leaving the Mother in Pakistan. The Mother subsequently issued proceedings in respect of the children and she made a number of allegations against the father, namely (i) the Father had kept her passport and refused to return it (ii) the Father evicted her from the paternal home and refused any contact between the Mother and children (iii) the Father perpetrated domestic abuse against her and (iv) the Father had alienated the children from her. The Father alleged that the Mother had abandoned the children in 2012 and later alleged that the Mother had mistreated them. A Fact Finding Hearing took place and the first instance Judge rejected the Mother’s allegations including that the Father had stranded her in Pakistan. He refused to make a finding that the children had been wrongfully removed from the Mother in Pakistan. The Mother sought permission to appeal on the basis that the Judge had failed to give adequate reasons; the findings made were inconsistent and contradictory; the Judge misunderstood aspects of the evidence; the Judge’s approach to analysing the evidence was flawed; and that the Judge’s principal findings were plainly wrong. The Father opposed the appeal. Initially, the Guardian appointed to act for the children was neutral in respect of the appeal however by the close of the proceedings, she supported it. The key principle considered within the Court of Appeal judgement by Lord Justice Moylan was the issue of “transnational marriage abandonment”. The definition of which is set out in Practice Direction 12J of the Family Proceedings Rules 2010 which deals with ‘Domestic Abuse and Harm’. It was held that the Judge erred in concluding that the Mother was not stranded. The determination that the Mother was not stranded was inconsistent with the finding that the Father kept the Mother’s passport. It was held that the Judge took an “unduly narrow approach” in respect of this particular issue of abandonment and stranding. “Stranding is a broad concept and can include any action taken by a spouse which put obstacles in the way of the other spouse being able to return to the UK”. It was agreed by all parties that the issue of standing was a fundamental issue in the case and it significantly interconnects with the determination of the other key factual issues e.g. it would explain why the children had ill-feeling towards the Mother if they were led to believe that she had abandoned them. Therefore, it was held that the Judge’s judgement could not stand and a rehearing would be required because the Judge did not deal sufficiently with the issue of whether the Mother had ‘abandoned’ the children. The Court of Appeal also pointed out various other inconsistencies in the Father’s evidence which were not explained in the judgement and required further consideration. The Mother’s appeal was successful and a re-hearing was ordered. If you require help with a case concerning a child, please contact Juanita on j.kareer@wilsonllp.co.uk or call Mavis for an appointment on 020 8885 7986.